Dream big, dream bold, dream the impossible! The Erwin Brothers, who had a surprise hit with the 2014 comedy Moms' Night Out, are back with their latest endeavor, Woodlawn. We now have the new trailer, which recounts the true events that led to one of the most amazing high school football games ever played in Alabama. 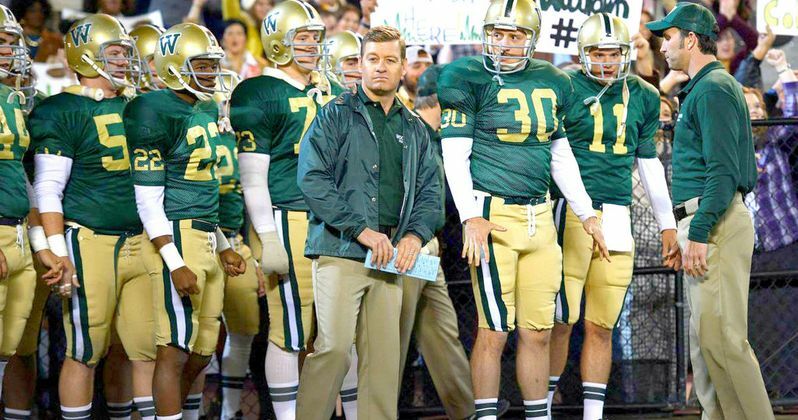 In 1973, a spiritual awakening captures the hearts of the Woodlawn High School Football team. Lead by their coach, Tandy Geralds, and fueled by the team's dedication to love and unity in a school filled with racism and hate, the team makes an astounding run at the playoffs. This leads to the largest high school football game ever played in the torn city of Birmingham, Alabama, and the rise of it's first African American superstar, Tony Nathan.